“Hey, I just started playing this fantastic game. I started with the basic games and quickly went to a variant for more tactics. Each player has a starting hand (I chose 10 cards) and draws 3 cards for a hand. The players take turns playing first against the universal pot using the MyWuXing rules for deciding how the round turns out. 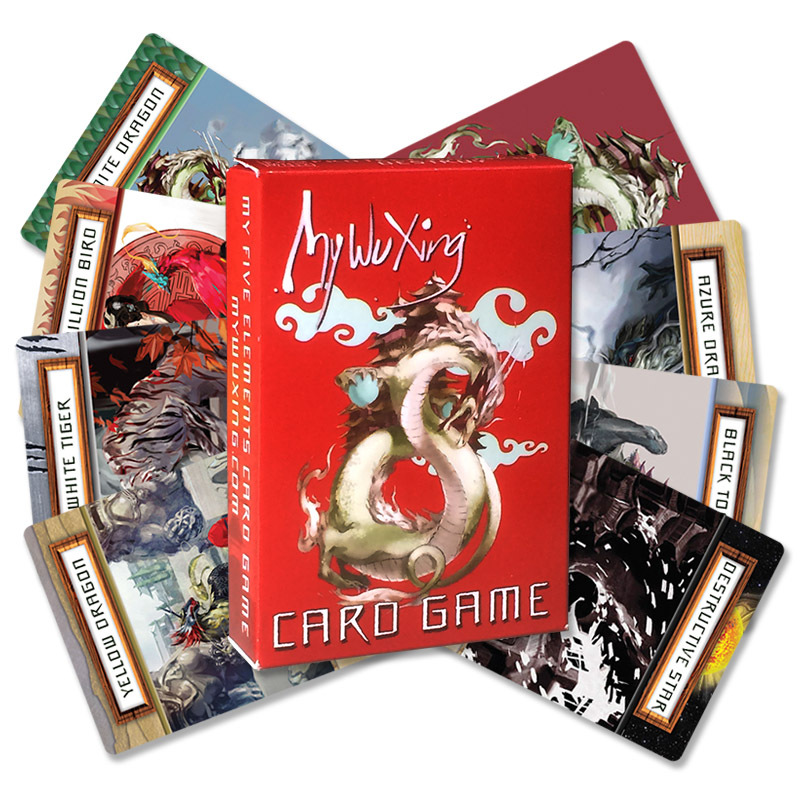 Any cards that a player wins or absorbs goes into a ‘used pile’ until their original deck of 10 cards is exhausted. At the beginning of each round a player draws a card from their deck to increase their hand size to three before placing the next card from the Universe deck into the Universe pot. Once a player’s original deck of cards is played, the player takes all of his/her cards from the ‘used pile’, shuffles them and uses them to draw a new three card starting hand. Obviously, I’m going to keep tinkering with the particulars, but so far I’m really digging how this game plays. Myself & Jeff have since spoken. Feedback is great, the cards are a foundation for multiple game plays so watch this space ! I intend to evolve different versions over time. Welcome any feedback & comments in the MyWuXing forum.